Home / Project Management / Monitor and Control Project Work Process: Are You On The Right Track? When you are managing a project, your objective is getting the desired results within the agreed time frame and budget. To be able to succeed in that, as a project manager, you must always be aware of how the project is going. This is an important knowledge which can be learned from a PMP course. And for this, you will have to implement Monitor and Control Project Work process to the whole project life cycle. As you may see in the PMP certification training, Monitor and Control Project Work process mainly aims to check whether the project is progressed as planned. If a variance is detected during Monitor and Control Project Work process, change requests are submitted to get back on track on the project. Monitor and Control Project Work Process is one of the project integration management processes and it is conducted during the project monitoring process group. Project Monitoring and Control function is done from project initiation until project closing. Because, each step, each action, each process needs to be controlled. In Monitor and Control Project Work Process, there are a certain set of activities to follow in the project. These must be checked whether this sequence is followed in the project. In this article, we are going to explore the activities of Monitor and Control Project Work process. For more information about Monitor and Control Project Work Process, you should check out one of the Project Management Certification courses. What are the outputs of Monitor and Control Project Work process? Results of the monitor and control project work process are Change Requests and updates to project management plan and project documents. Because based on the results of the Monitor and Control Project Work process activities, if there is a variance in the project from the planned values, this variance must be corrected. For instance, if there is a variance in the schedule, it must be corrected to meet the project deadline. If there is a risk that might affect the project in future, its preventive action must be taken or if the produced outputs do not meet the project criteria, then defects must be fixed. These might be change requests as well and in order to implement these change requests, project plans and documents must be revised according to the change management plan. 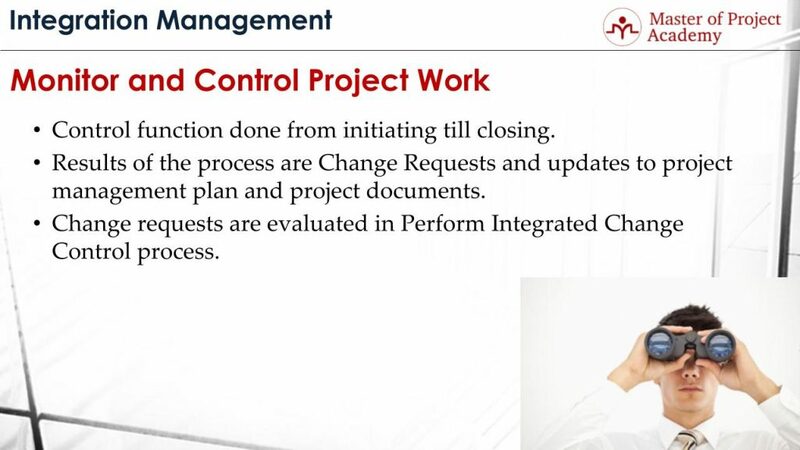 Change requests are evaluated in Perform Integrated Change Control process. Because a small change in a project can have a high impact on other parts of the project. Perform integrated change control process evaluates a change, analyzes its impacts on the project and provide alternative solutions to implement the change. By this way, optimum way to implement a change is determined. 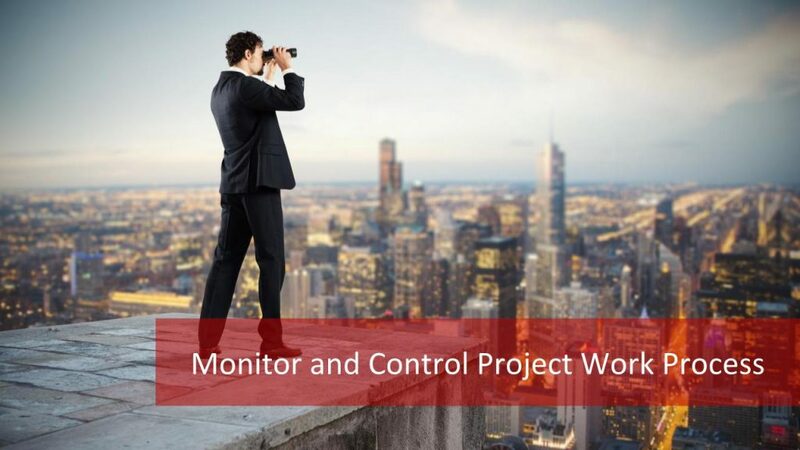 What does Monitor and Control Project Work process involve? 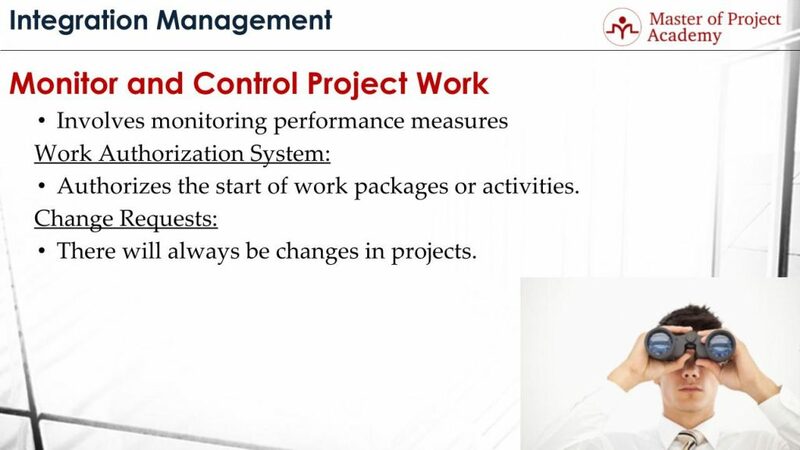 Monitor and Control Project work process involves monitoring performance measures. 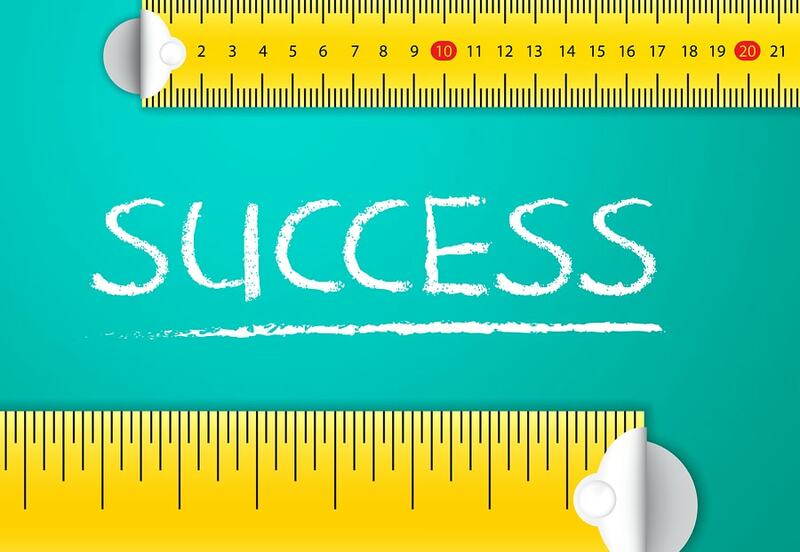 In order to detect whether the project is going as planned, these measurements are a must. For instance, budget performance measurement of the project will show whether the planned budget can be met. Also, schedule performance of the project will show whether the project will be completed on planned date etc. Actually, these performance measurements which are done within the Monitor and Control Project work process, are the inputs for submitting a change request. Because based on these measurements, if the project is at risk of falling behind of the project baseline values, changes are requested and implemented to get back on track. What is Work Authorization System? Work Authorization System might be used in monitor and control project work process. Work authorization system is mainly used to assign a task to a project team member officially over a corporate tool. And if there are deviations in the start or end dates of project activities in the work authorization system, this might be an indication of variance that needs to be controlled within monitor and control project work process. We know that changes will happen during the project. Even if you make a perfect project plan, actual results will be different than the planned values. So you have to perform Monitor and Control Project Work process in order to determine these changes. And in order to align future work of the project work, based on the actual results, change requests will be submitted. Monitor and Control Project Work process is crucial to meet the desired outcomes of the project. Because if you don’t measure the performance, you will not be able to know how the project is going, and this is a big risk for the failure of the project.